The LED lights used inside the refrigerated cases are helpful in providing dramatic energy savings and that too at the least possible cost which many of us are not aware of. In addition to the fresh and tempting food dishes, we need to install proper lights inside the big coolers and freezers so that they become more eye-catchy and seek customer’s attention as well. 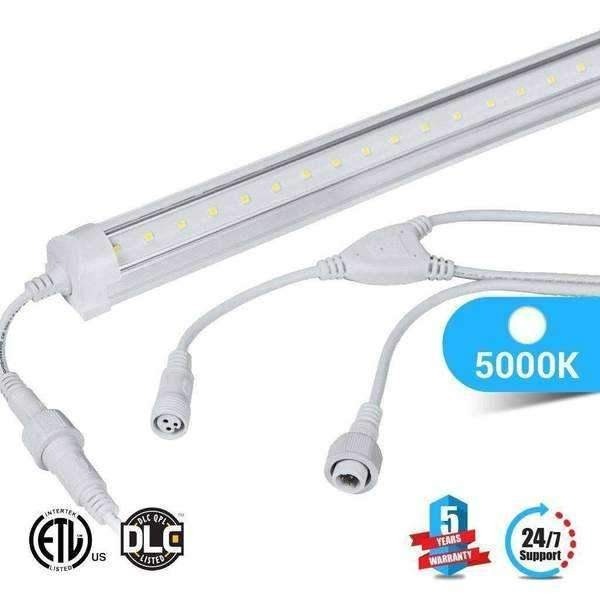 For solving the same purpose, you can use 6ft LED Cooler Tube among many other different sized tubes to enjoy maximum lighting results at the most reduced rates. You can safely use 6ft LED Cooler Tube inside the freezers where the temperature remains at sustain below zero degree as well. Comes with the color temperature of 5000K that provide neutral white-daywhite light color glow making the food items look fresher. These 40W 6ft LED cooler tubes have the finishing of polycarbonate and hence they are more durable and can withstand any external tampering. Have wider beam angle of more than 180 degree that is useful in making all the food merchandise more lighten. You can replace this 40W 6ft LED Cooler Tube that produces 5200 lumens with 100W equivalent fluorescent tube to save at least 70% energy. 5 years of hassle-free warranty from the manufacturer’s end will be provided to you while purchasing these cooler tubes. So use this Eco-smart and energy efficient 6ft LED Cooler Tube in refrigerated cases that will provide dramatic energy savings, have lower maintenance cost and above all will make the products more appealing.